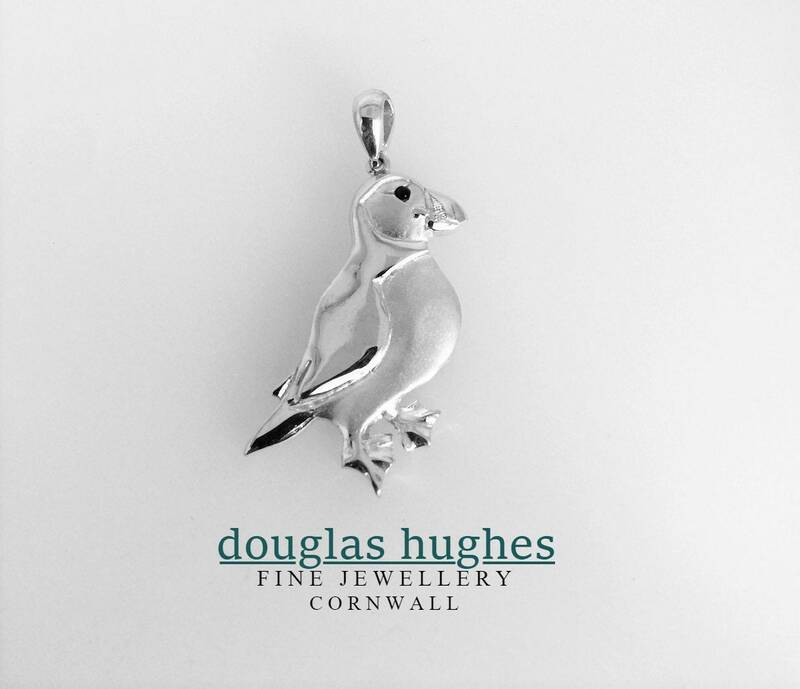 A thoroughly charming Puffin Pendant - designed and handmade in Cornwall by Douglas Hughes. The puffin is 3.5cm long and hangs from a 0.5cm bale. Made entirely from Solid Silver weighing 6.8grams and has a cabochon cut Sapphire as his eye. 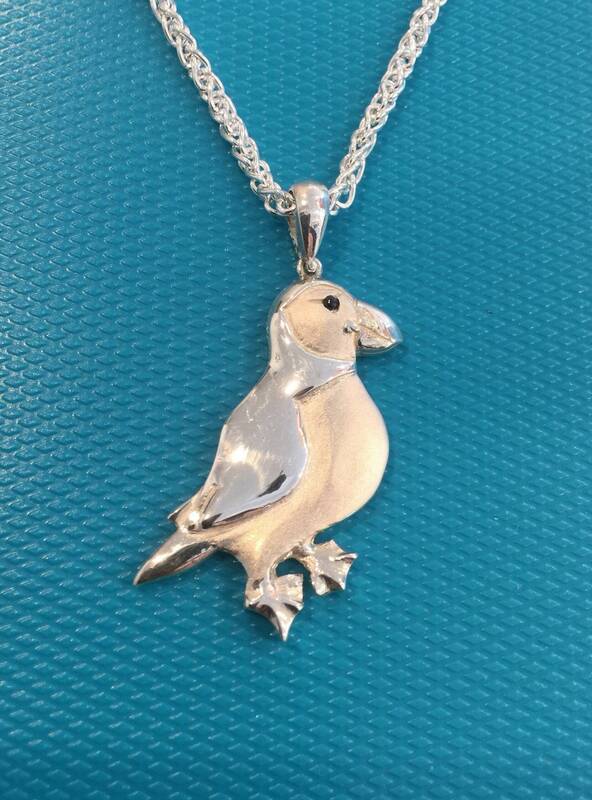 Douglas has completely captured the adorable character of these much loved seabirds!